Getting to the Moon takes an incredible amount of technical know-how, engineering excellence, and of course money. That’s why embarking on a lunar landing mission is typically done by a government-funded space agency rather than private citizens, but the rise of commercialized rocket launches is helping to change that. 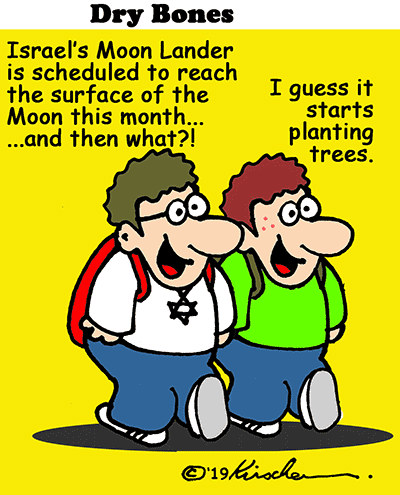 ...and BTW, speaking of trees You can buy the Dry Bones book called Trees, The Green Testament from Amazon (Print copy or Kindle) at https://amazon.com/author/kirschen Or you can order a signed copy to be mailed directly to you from my home in Israel https://store.drybones.com/ And if you buy a copy from Amazon PLEASE leave a review. It would be really helpful.